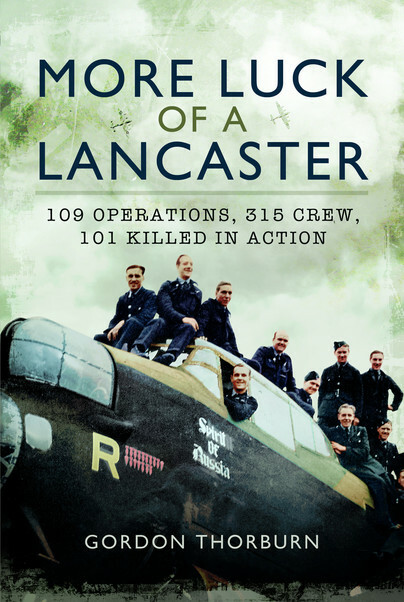 This is the second book in Gordon Thorburn's 'Luck of a Lancaster' series. The first follows the fortunes of an single aircraft that managed to return successfully from 107 sorties. This book copies that formula and recounts the sorties of tail number EE136 WS/R 'Spirit of Russia'. Interestingly both aircraft were from No. 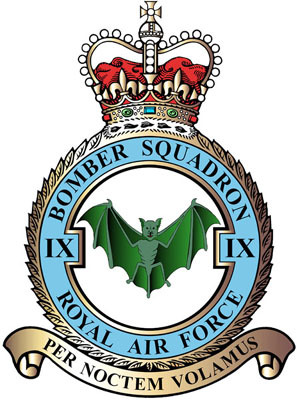 9 Sqn, a unit which exists to this day. I have subsequently learnt that of the approximately 7,000 Lancasters built, there were just 36 that survived more than 100 operations. First things first, I read this book in two sittings. It's not a particularly long book (147 pages) but what there is, is gripping, exciting and it receives, from me, a book-lovers highest recommendation, 'I couldn't put it down'. It is a rare non-fiction book where I find myself reading long into the small hours and wanting to find out how the crew fared on their next sortie. Pen & Sword Publishing have this book in stock for £15.99. I suppose I should say that my review of this subject matter may be more subjective than most. I have served in a very similar professional role to those depicted in this book, albeit their circumstances and risks they were willing, and in some cases eager to take are, for me, beyond comprehension. to port, same height. RG opened fire..."
This isn't a big problem as your brain has been frequently exposed to ORB excerpts that by the second or third chapter it automatically substitutes in the expansion. Just be prepared to read lots of abbreviated excerpts - that's exactly how they were and still are written. twenty feet around Lincoln, over the Wash..."
Today, 250 ft is a hard bottom for the UK's Low Flying System and 100 ft on some ranges. This separation is maintained in all aspects, and generally the aircraft fly either in pairs or more often as a single aircraft. To have 'a gaggle' of 90 large aircraft at 20 ft beggars belief. I suppose this claim and other similarly astonishing revelations on nearly every page made this book a page-turner. I have to take issue with the author when he claims (cites?) aircraft flying at zero feet!!! Now call me pedantic if you will, but that is not possible. The account goes onto say that due to some jostling within this 'zero foot' bomber stream an aircraft had to roll 90 degrees and it's wing was 'almost' touching the water. With a wingspan of approximately 100 ft those Lancaster's must have been flying somewhere greater than 50 ft ... either way it's ludicrously low. self-preservation, so they could do their work." Another pause-for-thought moment came for me, when the author equates the damage of German Cities by Bomber Command to British Cities. The civilian death toll must have been horrendous. I would have liked to see some balance, i.e. from German squadron log books or civilian accounts of the bombing raids in which our heroine was present. 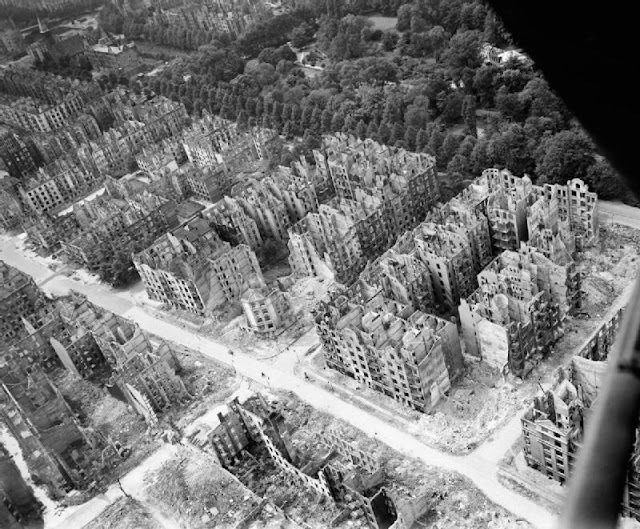 I'm of the opinion that although it was deemed a necessary evil at the time, the carpet bombing of civilian populations should make us more than a little uncomfortable. Unfortunately the book doesn't provide any opinion on the matter. Neither good or bad, it just tells the facts - I suppose that is the safest way talk about a potentially contentious subject. As we follow the air-frame I realised that the author had almost imbued a sense of personality into EE136 WS/R and I found myself rooting for her as much as I did her crews. Spoiler - she survives for 109 operations before being declared U/S. However when a Bomber Command tour was 30 missions and the average life expectancy for those aircrews was around 15 missions, we can start to appreciate just how fortunate WS/R was. The are several photo pages wedged into the middle of the book and I was shocked and a little saddened to see faces of predominantly very young men looking back. There are numerous accounts of aircrew whilst on the 20th sortie being shot down and killed, yet still being 19 years. Captains of 20 years old, were not uncommon. WWII was a very different time and I am always reminded how grateful I should be and in awe of those who served every time I read a book like this. I can recommend this book to everyone, military aviation nut or not and at 147 pages, anyone can finish this book.